Reaching Cuba to reach the world has been the theme of the Sembradroes church planting network from the beginning. Every church plant was started with the vision to multiply with the goal of saturating Cuba with churches so that they would have the potential to take their role in sending missionaries around the world. They partnered with Mark, a missions professor in Costa Rica, who came provide training in how the local church can be involved. On one occasion the pastors attending the training spontaneously took up an offering equal to 3 months’ salary to send missionaries. This vision led to 100 Cubans dedicating themselves to serve as missionaries. Today the Sembradores network is partnering with CIT global to develop a training center to equip these future missionaries. The goal of CIT global is to see these future missionaries not only survive but to thrive in the field where God has called them. After studying to receive his Doctorate in piano performance, Steve recognized the value of a one-on-one relationship that many in churches today were lacking. This led him to develop a one-on-one discipleship tool and training that is needed both in the US and around the world. He recognized that our greatest legacy isn’t what we have done but who we have invested in. 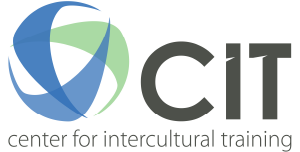 Steve chose to partner with CIT global to help spread quality discipleship training around the world. What do you have to offer? Would you like to get involved in the training of cross-cultural workers in the knowledge, skills or attitudes to thrive on the field?